We are not a Broker! We are an endpoint service. Join other companies in the beverage industry and maximize your warehouse space by letting us responsibly destroy unsellable consumer beverages and recycle their containers. We can work with you on any material that is a consumable liquid, from water, electrolytes, energy drinks and protein drinks to beer, wine, and liquor. 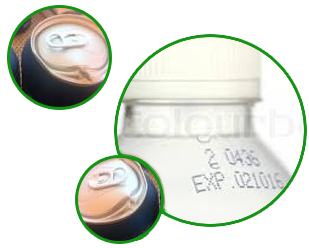 We serve stores as well as beverage manufacturing and distribution companies. We can price whichever way works best for you. We can recommend trucking companies. A mixed container pallet/load has multiple types of containers like glass and aluminum on the same pallet. • Mixed Container Case pricing is not available at this time. 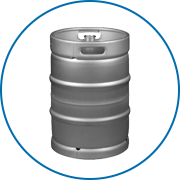 • All 1/6 and Larger Kegs $5.00 per keg to drain. • Other food products such as 275 Gal IBC totes, packaged soup, fruit, and vegetables quoted on request. Turn to us for reliable beverage recycling services. Contact us in Smithfield, NC, for further details. Click Here to see the Delivery Schedule! Choose us for beverage waste management to free up space in your establishment. See our special offers today! Learn about Beverage Destruction Service, Inc.
Beverage Destruction Service, Inc. in Smithfield, North Carolina, is a Veteran owned and operated company that offers convenient green solutions to the beverage industry. It is our goal to provide the best beverage destruction services on the US east coast. 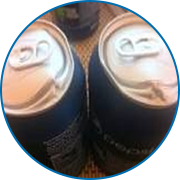 The idea to start our company came to us after we learned that the landfills in our state do not take outdated or damaged consumer beverages. Our founder saw it as an opportunity to serve the consumer beverage industry and promote environmental consciousness at the same time. We see what we do as a way of fulfilling our duty to the state, the environment, and to our fellow citizens. Partner with us in keeping unwanted beverages out of your establishments and our landfills. Check our online calendar and call us to schedule your delivery. We are oriented toward accepting tractor trailer loads, but can accommodate most trucks. If the load is wrapped and palletized neatly, we should have a 53-foot tractor trailer unloaded and on its way within 1 hour. If You Can Get It Here We Can Process It.